If you have a teen who is struggling with addiction—be it alcohol, drugs, or even habitual or behavioral addictions—it can be scary and confusing to understand and know what to do to help them. Teen rehab may be the answer. The teen years are crucial in the process of a person becoming who they are meant to be, and that’s why it is extremely important to work hard to motivate that teen to reverse harmful and negative behaviors while they’re still growing and can recover to become safer and healthier. Luckily, there are many different types of teen rehabs and programs that can cater to your teen’s unique needs and situation. This guide will cover several different types of programs and discuss both the positive and potentially negative aspects of each. If you’re a teen suffering from addiction and you’re looking for help, you are not alone—and there is help out there that will work for you. If you are a parent or family member of a teen suffering, you can rest assured that there are people out there willing and capable of helping you and your loved one through the process of recovery. Many people wonder how many teens are addicted to drugs or alcohol, and the number is staggering. Currently, there are nearly two million teens in the United States who are suffering from some sort of addiction. A culmination of several studies shows some startling facts about the commonality and impact of addiction in adolescence. In 2015, approximately 33 percent of high school students reported having consumed at least one alcoholic beverage in the previous thirty days, 39 percent of students had tried marijuana in their lifetime, and 5 percent of high- school-aged teens had reported trying drugs such as cocaine at least once in their lifetime. (Five percent may seem like a low number, but when the fact is considered that there are currently more than nineteen million students enrolled in high school, the realization comes that 5 percent accounts for just under a million students.) And that doesn’t factor in for people who omitted the truth during these surveys in fear of being reprimanded. While there are far too many teens who are using and sometimes abusing drugs and alcohol, it is important to note that these numbers have actually been steadily decreasing over the last decade or so. This is partially due to the wider access to treatments, as well as the increase in knowledge and information on the negative impact of these substances. The number of teens who reported never having tried even one puff of a cigarette rose from 59 to 68 percent between 2013 and 2015. This number is projected to grow, while the number of teens who are using is expected to decline. As a parent or guardian of a teen, you likely have wondered at one point or another if your teen may be using drugs or alcohol. The sudden increase in mood swings and/or irritability. Changes in behavior such as slacking off in class, hanging around different friends, and getting in trouble at school. Mental changes such as poor concentration, lack of focus, and loss of memory. Sudden onset of depression or anxiety, detachment, loss of interest in activities that once excited them, or a “nothing matters” attitude. Avoiding eye contact at home, locking themselves in the bathroom or their own room, wanting to be alone all the time, or skipping out on family events. Finding substances and/or related paraphernalia in their room or with their belongings. These are just some of the typical signs you may notice in a teen who has begun using and/or abusing drugs or alcohol. While this only covers some possibilities, this list offers a helpful start to assess where your teen may be. Teen drug addiction rarely looks like the problem that it actually is from an outside perspective, which is why teens feel more comfortable trying these drugs than they actually should. And although individual teens’ reasons may vary for using alcohol or drugs, there are some pretty concrete and universal factors that affect a teen’s decision to do drugs or not. One of these reasons is, of course, peer pressure—but not necessarily how many people think. Teens often make friends with other teens who have already begun trying different drugs or drinking alcohol and so see it as a normal and interesting thing to do. If a teen finds a friend who seems to have a lot of fun and be a happy person, and they find out that friend smokes marijuana on the weekends, they might feel influenced to do the same. Some teens do drugs because they were exposed to it at an early age from family members, including their own parents. Others may do drugs because they are suffering from trauma, depression, or anxiety, and they feel the drugs will help. However, it’s likely that most teens continue to do drugs after they’ve tried it once or twice because they experienced something positive when they did. Teens are often thrill seekers, they want to have fun and create interesting stories or memories. Unfortunately, a lot of drugs have been made out to be ‘fun creators’ and teens are often tricked by this idea. Drugs have both evolved and changed so that drugs that were popular thirty years ago in young adults and teens aren’t necessarily popular now. Twenty or thirty years ago, it was more common to hear of teens using harder drugs like cocaine, meth, or heroin. Now, however, it is more common to hear about teens using drugs like LSD, MDMA, and mushrooms. As mentioned, one of the most common for use by teens in the last five to ten years is the use of MDMA, often referred to as “Molly” or “ecstasy.” These drugs started popping up in the 1990s when the rave scene became increasingly popular. In the last decade, electronic dance music, or EDM, has skyrocketed in popularity, and the drugs typically used at events featuring this music have become even more widespread. And of course, the most popular substances used by teens continue to be marijuana and alcohol, with around 70 percent of high school students believing that marijuana is safe to use, and 45 percent of high school seniors admitting to using marijuana at least once in their lives, according to 2017 Monitoring the Future Study. Whatever the reason may be, and whatever the substance may be, drug use often turns into drug addiction, and it’s crucial to begin changing this behavior while there is still time to do so. When looking into options for a teen who is battling addiction, you’ll probably come across a number of residential and long-term programs, especially inpatient programs. These programs come in a very wide range of structures, ideologies, and core principles, so there will likely be an effective option for your teen’s unique situation. While the idea of sending your teen away somewhere for an extended period of time may sound daunting, it’s important to note that being removed from the entire situation surrounding addiction or dependency offers a solid platform for recovery, especially in adolescence. The amount of time spent in a treatment center depends on the particular location and program. Some could be as brief as thirty days, while others can last as long as one year. The length of time that your teen needs depend greatly on their situation and the severity of the addiction. Community-based treatment – Many treatment centers that utilize long-term inpatient care focus on using a sense of community in their therapy. This happens through group activities, group therapy, and more. 24-hour help and monitoring – When your teen is away at an inpatient residential treatment center, you can rest assured knowing that professionals are working around the clock to help your child recover. Whether it be medical during the detox period, or just being there as someone to talk to, the staff is always there to help. Routine drug and alcohol testing – Some of these longer-term programs will grant your teen a measure of freedom, and some may even allow them to leave the campus for a portion of the time. Thus, programs such as this always administer regular drug and alcohol tests to ensure that your teen is staying abstinent. Constantly being surrounded by others who understand the experience – Oftentimes, teens struggle to recover from addiction on their own because they feel they have no one to turn to who understands what they’re feeling. 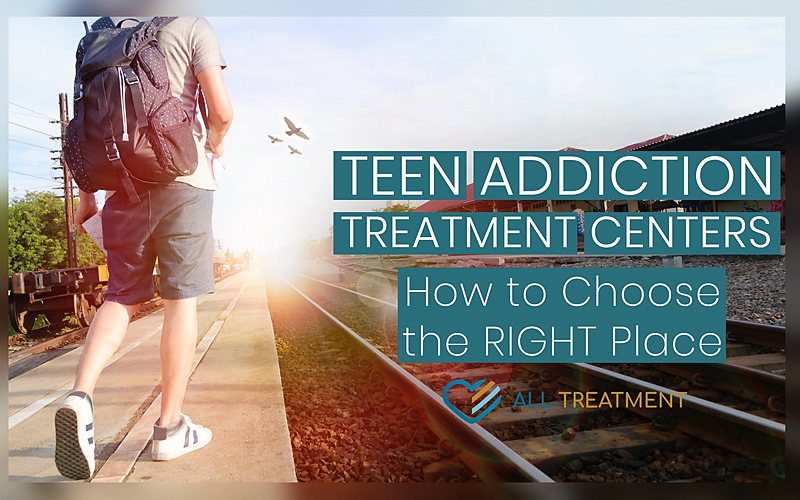 Luckily, these types of treatment centers offer the chance for your teen to be surrounded by other patients who are going through the same thing, as well as staff who oftentimes have recovered from addiction themselves and later dedicated their lives to helping others do the same. Skill-building and coping techniques – Of course, these addiction treatments are designed to help give your teen the skills, tools, and knowledge they need to help change their behavior for good. You can expect your teen to learn to not only recognize their negative thoughts and behaviors associated with addiction but also how to use that energy and turn it into something positive. It is extremely important to do your due diligence when deciding between different types of programs, especially inpatient ones. Every program is unique, and it’s important to talk to someone from a center you are interested in, and talking to them about the teen’s specific situation, to predetermine if that particular program would be the right choice. Who Might Inpatient Treatment Be Good for? Inpatient addiction treatment for teens is life-changing and beneficial for many, but it’s not the right fit for everyone. If your teen is experiencing a long-term addiction to an illicit substance, and they need to be separated from a bad situation, then long-term residential care can often be a good fit. Someone who is at risk for severe withdrawal symptoms could benefit greatly from being monitored throughout their detox phase. On the other hand, someone who is facing addiction to something like tobacco or marijuana may not necessarily need this rigorous and time-consuming program. Contact a few different places and speak to them about whether or not you should consider their program for your teen. If a long-term program isn’t the right fit for your teen’s unique situation, then you may want to consider outpatient addiction treatment instead. Outpatient treatments allow your teen to remain at home, attend school, yet still get the help they need. Therapy-focused treatment – Most outpatient programs work through both individual and group therapies. They can range dramatically in the type of therapy, from faith-based therapy to cognitive behavioral therapy to dialectical behavior therapy. Use of medication – Patients can expect to be assisted through the process of their recovery by medication both in their initial detox phase as well as with their therapy. Family-focused recovery – In addiction treatment, especially with adolescence, building a support system including family is important for recovery. 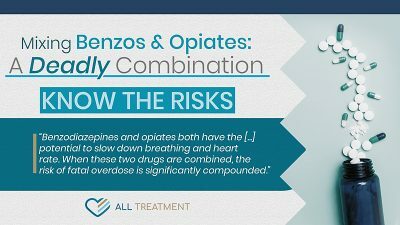 Partial hospitalization plans – PHPs are really common with outpatient addiction treatment for anyone who is at risk of withdrawal symptoms during the detox period. Hospitalization may be range from a couple of days to one to two weeks. Outpatient addiction programs range widely in duration, a frequency of meetings, and ideology, which gives you the option to find something geared toward your teen’s specific needs. Is an Outpatient Addiction Treatment Program Good for Teens? Most treatment facilities and programs use a similar set of criteria to help determine the type of treatment that may work best for a particular person. Outpatient programs are great for those at the onset of addiction, those addicted to a substance of lesser danger such as tobacco and marijuana, and teens who want or need to stay home to have the support of family and friends. Another newer, rising method of addiction treatment to consider is Cognitive Behavioral Therapy (CBT). CBT was originally created in the early 1970s to help treat patients with depression or anxiety but was later found to be widely effective for other ailments, including addiction. When it comes to treating patients dealing with addiction, a significant shift in thought and understanding are needed to make such a radical change. Cognitive Behavioral Therapy encourages patients to track their thoughts and analyze those situations, thoughts, and behaviors typically associated with their drug use. A present and active therapist – In many forms of therapy, the therapist encourages you to do all of the talking and asks only a few directive questions. CBT is different—the therapist and you are both actively participating throughout the whole process. You playing a large role in your therapy – Another unique part of cognitive behavioral therapy is that the patient plays a key role in setting the actual agenda for their therapy sessions based on what is prominent in their life at the time. Learning important skills and coping mechanisms – CBT will teach you how to rewire your brain to think positively rather than negatively, which will, in turn, help you both identify the problems and take control of your life. Short-term treatment schedules – This evidence-based form of therapy only lasts around twelve to sixteen weeks, relatively short for addiction treatments. Addressing dual diagnosis in addiction – Many times, those who are suffering from addiction are also struggling with some other mental illness or disorder such as bipolar disorder, depression, anxiety, or others. CBT was designed to treat these forms of mental ailments and can simultaneously treat these alongside addiction treatment. CBT teaches patients to change the way they think about and see their world, suggesting that thoughts affect actions, which in turn affect feelings. If one can learn to identify negative thought patterns and the actions associated with them, they can teach themselves how to feel better on their own. Is Cognitive Behavioral Therapy Good for Young Adults? This form of therapy is really helpful for basically anyone who is struggling with addiction, whether used on its own or paired together with other forms of addiction treatment. Anyone with an addiction ranging from mild to severe can benefit greatly from the tools gained in CBT addiction treatment, especially those who have a dual diagnosis. Like all other types of treatment, it’s important to get in contact with the potential facility and talk to them about your teen’s specific situation to make sure that place is right for them. With this knowledge of the different kinds of treatments available and which ones may be best for your teen, of legitimate concern, is how to afford it. Several options are available in paying for teen addiction treatment. Medicare is a government-run program that covers 190 days total of inpatient stay at a psychiatric facility over the course of one’s life, and an unlimited amount of time in any period of hospitalized inpatient addiction treatment. Medicaid, a state-funded program, can offer similar coverage as Medicare. However, one will need to meet qualifications according to age, disability, and income. Medicaid is perfect for teens under the age of nineteen who are from a low-income family, especially for those who are in need of assistance for addiction treatment. If you make too much money to qualify for health care assistance, you still may be able to afford addiction treatment for your teen through your own private insurance. While most insurances do cover things like addiction treatment, it’s not true in all cases; so it is important to contact your insurance provider and find out what is covered. Sometimes insurance isn’t enough to cover the whole cost of treatment, which is why agencies like the Substance Abuse and Mental Health Service Administration (SAMHSA) and the National Institute on Drug Abuse offer grants and scholarships for those who are in need. All that is needed is to access these sites to fill out applications detailing the child’s needs and your current financial situation. Don’t let lack of affordability keep you from giving your teen the help they need to get through this. Resources like these are designed to help. The most important thing now is getting started. You have the information you need to start choosing between different types of treatment programs and facilities, so it’s time to take action. Getting help can mean the difference between a short life of addiction anda long life of happiness. Use this information and find the best treatment for your teen and their unique situation and needs—don’t wait for things to get worse. Get started today!